The front door of your home welcomes you home and creates the first impression of your home for your guests. It can also add some serious curb appeal! Your front door may be painted or stained a special color, have beautiful glass accents, or may be decorated for the season. Installing a storm door can help you protect your front door from the elements, debris, and pests. In the long run, this can help you reduce the maintenance needed on your door and extend the lifetime of your door. Getting a replacement door is always an option, but why not protect your investment with a storm door to keep it looking nice and make it last a little longer? A sturdy storm door is another layer of security for your home. It’s an additional barrier between your home and the outside world. A strong, secure storm door can help discourage and deter burglars simply because it’s another barrier they have to get through. If you live in a community with a Homeowner’s Association, there may be specific rules and guidelines regarding the exterior of your home. An experienced home improvement contractor who is familiar with your area can help you navigate all the ins and outs of storm door installation. Nothing beats the feeling and smell of fresh air flowing throughout your home. Opening the windows is nice, but sometimes you want to open your door too. It’s a great way to air out your home in the spring after a stuffy winter. 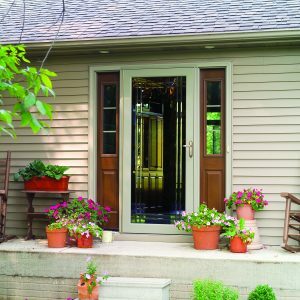 Having a storm door with screen inserts allows you to open your door to let air flow in while keeping the insects and pests out. Additionally, a storm door can be locked to keep your home secure while your entry door is open. Old, damaged, or poorly installed windows and doors are often the most common culprits for energy loss in a home. An energy efficient entry door can make a big difference in maintaining comfort inside your home. An energy efficient storm door adds an extra layer of protection, further increasing the energy efficiency of your home. All of these elements work together to reduce energy loss in your home, which often makes it easier to maintain the desired temperature and stay comfortable inside your home. These are just a few of the benefits of installing storm doors. 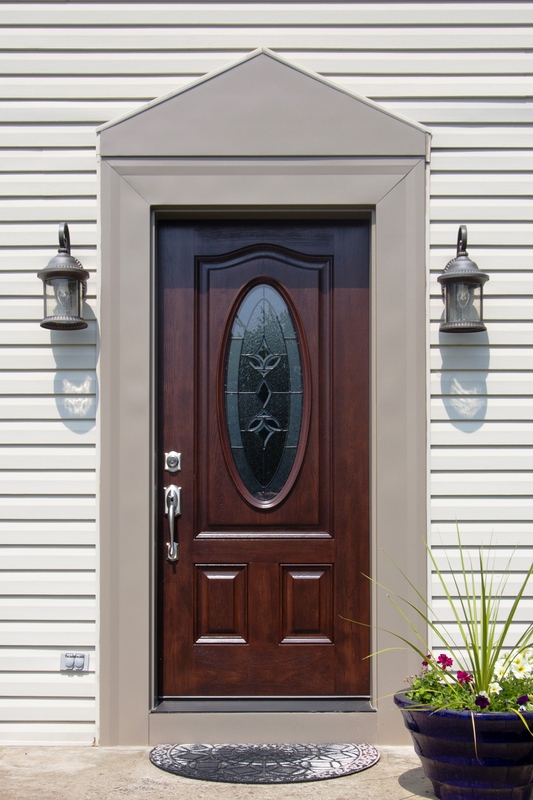 For more information about replacement doors, contact Zephyr Thomas at 717-399-4708 or stop by our showroom to see doors in-person!